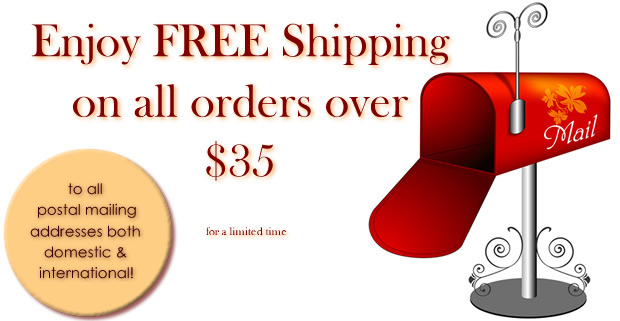 Enjoy FREE shipping on all orders over $35.00! FREE shipping applies to ALL orders over $35.00 to all postal mailing addresses both domestic and international. For a limited time. A collection of three soft and beautiful Velvet Matte shades in traditional fall colors. Goldfield Velvet Matte eye shadow: pale golden beige; Huntington Velvet Matte eye shadow: soft golden green; Honeywheat Velvet Matte blush: muted golden peach. 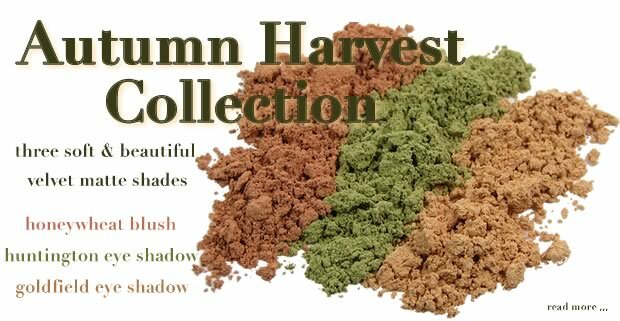 Our Autumn Harvest Collection is now available for a limited time. 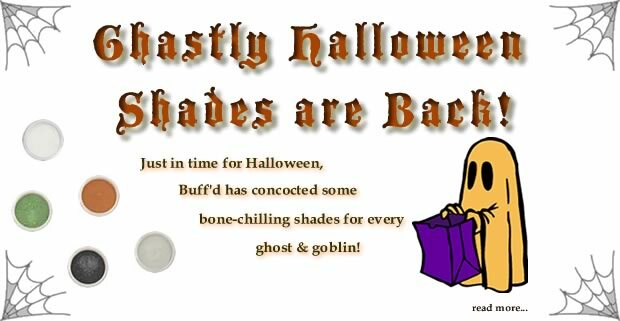 Shades are available individually or as a collection.